Its that time again, Monthly challenges are all on the go again, and hopefully this month does not disappoint! May is the Month of Mothers Day, so lets scrap a page dedicated to the little people in our lives, be it our children, nieces, nephews or God Children. Lets capture those not so desirable moments like looking messy, those spaghetti or chocolate ice-cream grins, the glares, the poking out of tongues, that sort of thing. 1- Use a photo that captures the mood of that moment. ie: Grumpy, naughty, being cheeky or pulling a funny face! 2- Create your own Grungy Background PP, by using paint and misting spray. I've also set my second challenge as DT over at Uproar 2 Scrapmore. 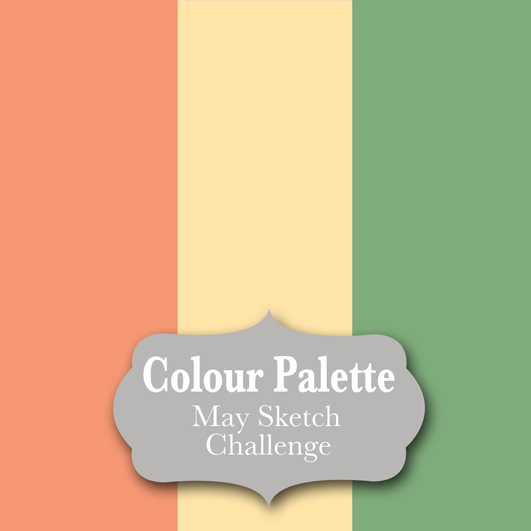 I thought it would be fun to do a Sketch & Colour Palette Challenge, dedicated to us as bubba's.Here's the May Sketch Challenge Template and Colour Palette. 1- Use a photograph of you as a bubba or toddler. 2- Use machine or Hand stitching somewhere on the page. 3- Follow the sketch template, you are welcome to flip it any which way so long as you stick to the basic design. 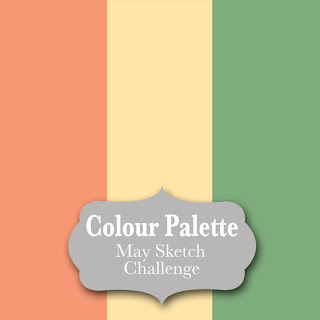 4- Use the attached colour palette. If your interested in some fun challenges then pop on over to Scrapboutique and Uproar2Scrapmore sites and join in!